Kombucha tea is a sour tasting drink made from black tea, sugar, bacteria and yeast. 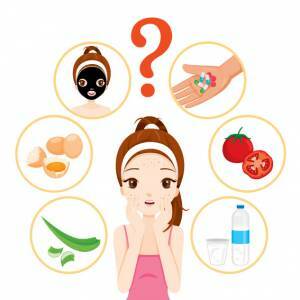 Although it has been around for centuries in various different cultures, it has recently been embraced by the health and wellness industry and spiked in popularity. The main reason is that there are many health claims associated with drinking kombucha tea, ranging from weight loss to increased liver function. However, there are an equal amount of skeptics that worry that the purported benefits lack scientific studies, and that the bacteria levels in the tea can be dangerous. In order for us to understand if kombucha is the way to go let’s start with what it is, what some of the potential health benefits are, and learn if there are any risks. 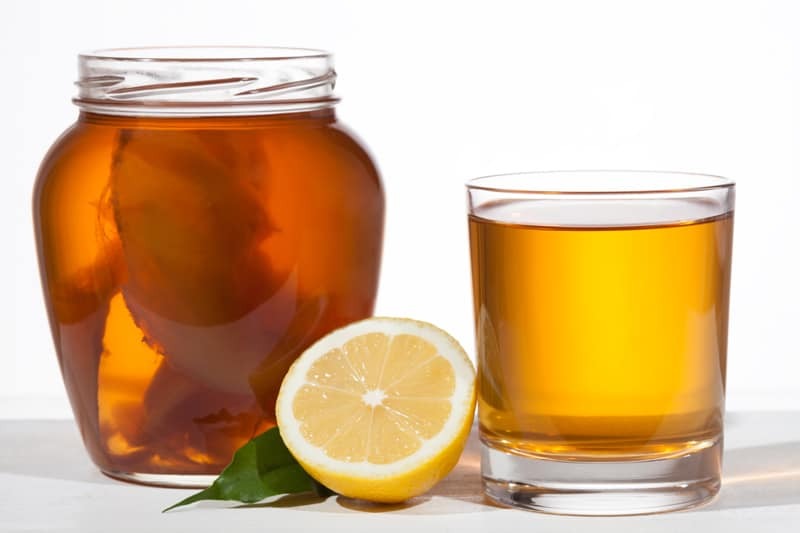 Kombucha is made by combining tea, sugar and a SCOBY (a symbiotic colony of bacteria and yeast). The combination is allowed to ferment for about 10 days. Once complete, the SCOBY can be scooped out to use in other batches and the resultant liquid is called kombucha. About 90% of the sugar is used up during the fermentation process, so the resultant liquid is relatively low in sugar. In its most natural form it has a sour, vinegar-like flavor profile. However, many companies and homebrewers will add herbs and juices to change the flavor profile and enhance the health benefits. Although there are many associated health benefits I am going to list only those that are supported by the ingredients and found in its most natural form. Perhaps the most popular health benefit of kombucha is improved digestion. As with other fermented foods such as kefir and sauerkraut, kombucha contains probiotics which are the beneficial bacteria that helps our gut digest food. This microflora combined with beneficial acids and enzymes can help keep your gut balanced and digesting properly. Kombucha can help boost your energy due to high levels of B vitamins, a small amount of caffeine and enhanced iron absorption. Kombucha contains glucuronic acid, which can be converted by the body to the more well-known glucosamine, commonly used to treat joint pain from arthritis. This can help and repair joint damage and arthritic pain as well as help preserve collagen. In addition to the immune boosting benefits of the probiotics, kombucha is naturally high in anti-oxidants as well as Vitamin C.
What are the Potential Health Risks of Kombucha? If prepared incorrectly, it is possible for kombucha to grow harmful bacteria. This is rare and much more common in homebrews, but still something to be aware of. If you have a weakened immune system or are pregnant I would talk to a health professional about your specific case to help figure out if kombucha is the best option for you. Kombucha tends to contain about 0.5%-1.0% alcohol. This is very low and you would have to drink about a 6 pack in order to feel the impact, but it is still there. If you are personally avoiding all alcohol or are Lindsey Lohan and on house arrest, you might want to steer clear. As with all health products, kombucha tea and it’s benefits can be a component of a healthy lifestyle, and it is definitely not a silver bullet that will get rid of wrinkles, cure cancer and make you live indefinitely! Kombucha is generally accepted to be a tasty and a potentially healthy part of your day. If you have a weakened immune system or are pregnant, I would sit down with a health practitioner that you trust to evaluate your specific case. For everyone else, bottoms up!